Dockworkers of the International Longshore and Warehouse Union have decided to stop work for eight hours in all U.S. West Coast ports on May 1, International Workers’ Day, to call for an end to the war. Montpelier, VT -The Executive Board of the Vermont AFL-CIO, representing thousands of workers in countless sectors across Vermont, have unanimously passed an historic resolution expressing their “unequivocal” support for the first US labor strike against the war in Iraq. 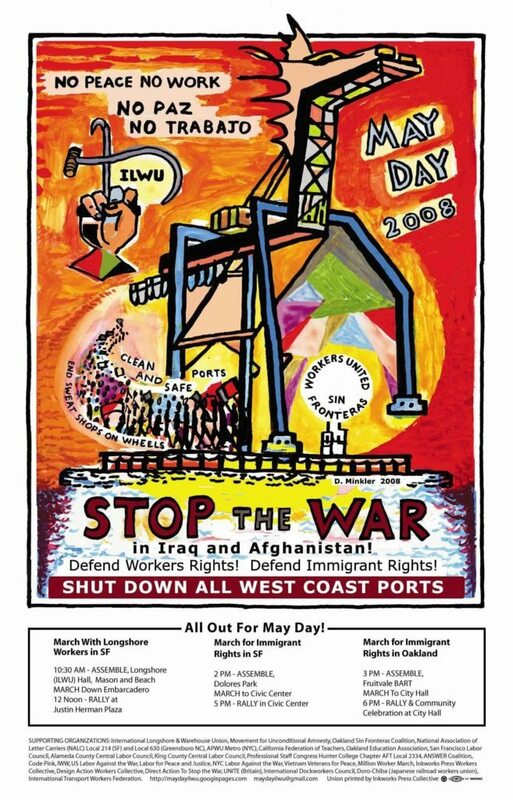 The strike, being organized by the Longshore Caucus of the International Longshore & Warehouse Union (ILWU), will seek to shutdown all west coast ports for a period of 8 hours on the day of May 1st 2008. The Vermont AFL-CIO is the first state labor federation to publicly back the Longshoremen. 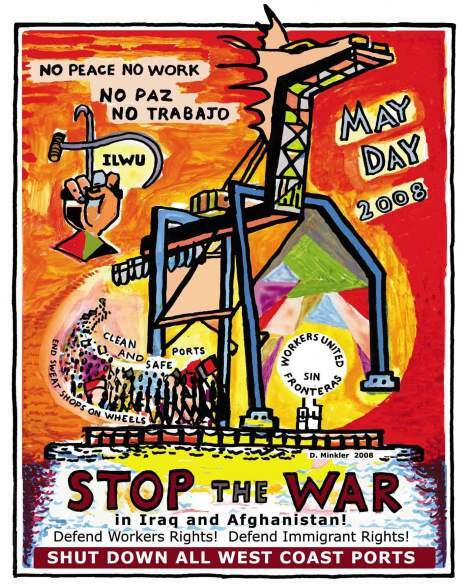 The resolution calls the war in Iraq “immoral, unwanted, and unnecessary”, states that the vast majority of working Vermonters oppose the war, and contends that the war will only be brought to an end by “the direct actions of working people.” Many other Vermont labor unions and organizations, including the Vermont Workers’ Center, have also made official statements condemning the war. “Workers in Vermont and all across this nation are against this war. We have already demanded that the government end it, but they have consistently failed to heed our words. Therefore working people are beginning to take concrete steps to make our resistance known. If the war does not immediately end we, the unions and working people of Vermont, will also be compelled to take appropriate action,” said David Van Deusen, a District Vice President of the Vermont AFL-CIO. Immigrants’ rights marches and rallies are also being planned around the nation, not only in San Diego, but also in Los Angeles, New York City, Chicago, Huston, and San Francisco and Oakland, and other locales.